In the microwave industry, global competition is getting fierce. Located in Taipei, Taiwan. National Taiwan University (NTU) is an example of an Asian powerhouse in microwave research. The predecessor of NTU was Taihoku (Taipei) Imperial University, founded by the Japanese in 1928. 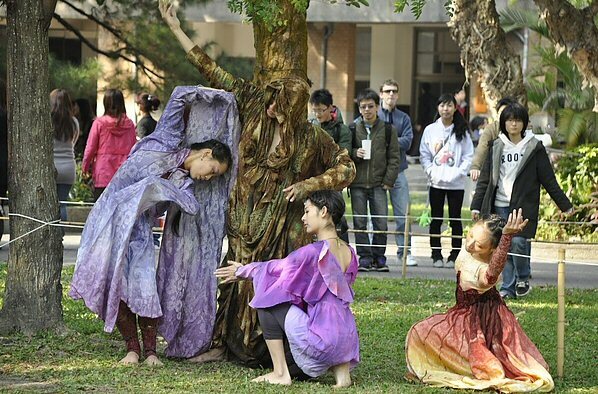 ''National Taiwan University'' became its name on November 15, 1945. The University's motto is "Cultivate virtue, advance intellect; love one's country, love one's people," is adopted from a line in the speech made by President Ssu-nien Fu in 1949. NTU has performance artists too! Chances are you have already encountered some of their vast number of IEEE publications. A simple search on keyword "microwave" on the NTU web site provides thousands of references, below are just a few. These papers (and many more) are available for you to check out, for this reason you might want to bookmark NTU. And on and on and on and on... We referenced some of NTU's work on this page on shunt switches. Advanced networking - Including areas in multimedia, high-speed integrated service networks, and high-speed switching technology. Communication electronics-Including electronic devices and technologies required for the development of communication technologies. Digital signal processing-Including digital image and speech processing, wavelets, and signal processing for wireless communications. Fiber optical communication-Including research on system and applications of broad bandwidth, large capacity, and high-speed fiber optical communication. Wireless communication-Including areas in packet radio, satellites, microwave communication, personal communication services, and optical wireless communications. Electromagnetic wave theory and applications-Including research on various problems that EM waves and light waves will encounter along the transmission path. New switching technology-Including the research on multimedia, high-density, high-capacity, high-speed new switching technology and photonic switching in optical communication. Communication theory and coding techniques-Including fundamentals of communication systems and coding techniques for improving reliability and security. Other promising areas, such as photonic switching and quantum communications.